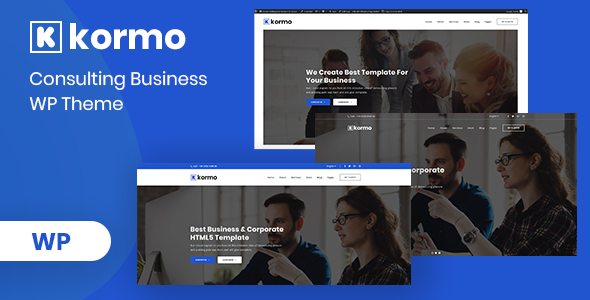 Kormo – Consulting Business WordPress Theme. It’s new look of soft and clean professionalism for the Consultancy or Business. These designs combine creativity with simplicity on each page. Kormo Theme is fully responsive layout for all type of devices. This theme is built and suitable for any business operating in the Consulting and Finance industry. Financial Advisors, Insurance Brokers, Accountants, Lawyers, Consultants or other Finance and Consulting related businesses, this is the theme for you. A great candidate for any type of website, for personal or business use, Winnex is easy to use and highly customizable. What ever you are using the device your site will run as it should be. Kormo Theme is fully responsive layout for all type of devices.